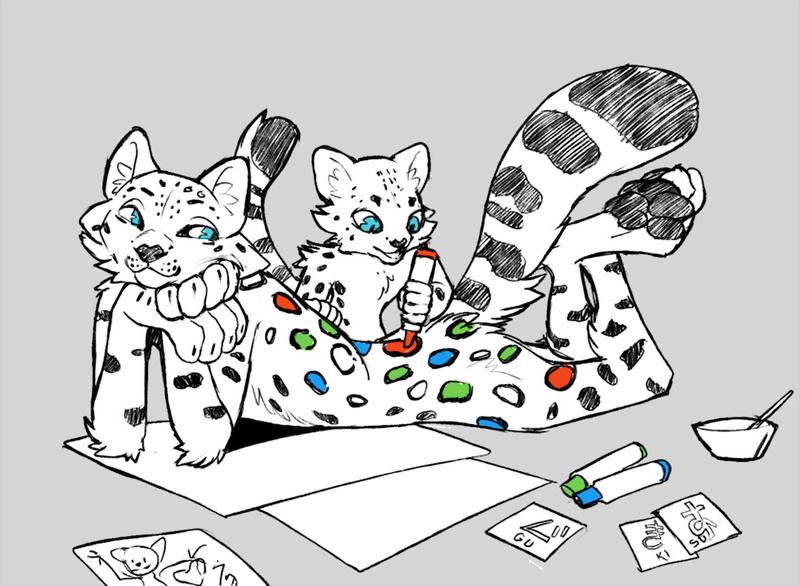 the kid was sad that their spots hadn't grown big enough to colour in so their sibling let them borrow their biggger spots! Aw, what a good sibling. This is really adorable, and it's a lovely idea, too. Plus the colored spots look really pretty! This is your most adorable piece ever, dear! This is literally too cute and my heart may be melting. I love love LOVE these adorable slice-of-life kind of pictures! Thank you so much for sharing it! "C'mon kid. stay within the lines. I can't lose this bet."